20. Underlines that RPAS must be equipped with ‘see'detect-and-avoid' technology in order to detect aircraft using the same airspace, ensuring that RPAS do not put at risk the safety of manned aircraft, and in addition, take into account no-fly zones, such as airports and other critical infrastructure; urges therefore the Commission to provide for the necessary R&D budgets through the SESAR Joint Undertaking. 22. Stresses that the Joint Authorities for Rulemaking on Unmanned Systems (JARUS) is an international voluntary membership body comprising of national civil aviation authorities from 22 EU and non-EU countries and regulatory agencies/bodies; recalls that JARUS is chaired by a representative of EASA, the Agency which will deal with future RPAS regulation; recalls that JARUS's purpose is to develop technical, safety and operational requirements for the certification and safe integration of large and small RPAS into the airspace and at aerodromes; reiterates the need for the swift delivery of rules for the EU market, which can only be guaranteed by a pro- active role of EASA in the JARUS process. (10) In accordance with the provisions laid down in Annex 19 to the Chicago Convention, Member States are to establish an acceptable level of safety performance in relation to the aviation activities under their responsibility. In order to assist the Member States in meeting this requirement for the Union in respect to the different categories of aviation activities. That acceptable level of safety performance should not have a binding character but express the ambition of the Union and of the Member States with regard to civil aviation safety. - 'model flying' means a sports and recreational activity undertaken by members of a model flying organisation recognised by the national competent authority and taking place within unaided line of sight conditions for the purpose of control and safe separation from other traffic. 1. Where the delegated acts adopted pursuant to Article 47 so provide with a view to achieving adequatehigh uniform levels of safety, having regard to the principles laid down in Article 4(2), the design, production, maintenance and operation of unmanned aircraft shall be subject to certification. Certificates shall be issued upon application, where the applicant has demonstrated that it complies with the rules established by the delegated acts adopted pursuant to Article 47 to ensure compliance with the essential requirements referred to in Article 45. The certificate shall specify the safety-related limitations, operating conditions and privileges. However, this Regulation shall not apply to occurrences and other safety-related information involving unmanned aircraft for which a certificate or declaration is not required pursuant to Article 46(1) and (2) of Regulation (EU) YYYY/N [ref. to new regulation], unless the occurrence or other safety-related information involving such unmanned aircraft resulted or could have resulted in a fatal or serious injury to a person or it involved aircraft other than unmanned aircraft. envelope may be permitted, provided that an adequate high uniform level of safety is ensured. (c) If necessary to mitigate risks pertaining to safety, privacy, protection of personal data, security or the environment, arising from the operation, the unmanned aircraft must have the corresponding and specific features and functionalities which take into account the principles of privacy and protection of personal data by design and by default. According to the needs those features and functionalities must ensure easy identification of the aircraft and of the nature and purpose of the operation; and must ensure that requirements for safe operations, including detect and avoid systems, as well as applicable limitations, prohibitions or conditions be complied with, notably with respect to the operation in particular geographical zones, beyond certain distances from the operator or at certain altitudes. (2) The European Council conclusions of October 2014 foresaw that the target should be delivered collectively by the Union in the most cost-effective manner possible, with the reductions in the Emissions Trading System (ETS) and non- ETS sectors amounting to 43% and 30% by 2030 compared to 2005 respectively, with efforts distributed on the basis of relative Gross Domestic Product (GDP) per capita. This distribution of efforts should be proportional to the level of Member States´ GDP per capita in 2013 compared to the EU28 average GDP per capita in the same year. All sectors of the economy should contribute to achieving these emission reductions, and all Member States should participate in this effort, balancing considerations of fairness and solidarity, and national targets within the group of Member States with a GDP per capita above the Union average should be relatively adjusted to reflect cost- effectiveness in a fair and balanced manner. Achieving these greenhouse gas emission reductions should boost efficiency and innovation in the European economy and in particular should promote improvements, notably in buildings, agriculture, waste management and transport, in so far as they fall under the scope of this Regulation. (9) The approach of annually binding national limits taken in Decision No 406/2009/EC of the European Parliament and of the Council19 should be continued from 2021 to 2030, with the start of the trajectory calculation in 20201 on the average of the greenhouse gas emissions during 2016 to 2018value of annual emission allocation in 2020 and the end of the trajectory being the 2030 limit for each Member State. An adjustment to the allocation in 2021 is provided for Member States with both a positive limit under Decision 406/2009/EC and increasing concluded that theannual emission allocations availability and use of existing flexibility instruments within the non-ETS sectors should be significantly enhanced in order to ensure cost- effectiveness of the collective Union effort and convergence of emissions per capita by 2030. To that end, unused annual emission allocations from the period from 2013 to 2020 should be transferred to a dedicated reserve for each Member State upon its request, to be utilised in the period from 2021 to 2030, where a Member State's emissions exceed its annual emission allocations for a given year . _________________ 19 Decision No 406/2009/EC of the European Parliament and of the Council of 23 April 2009 on the effort of Member States to reduce their greenhouse gas emissions to meet the Community’s greenhouse gas emission reduction commitments up to 2020 (OJ L 140, 5.6.2009, p. 136). 2. In respect of the years 2021 to 2029, a Member State may borrow a quantity of up to 510% from its annual emission allocation for the following year. 4. A Member State may transfer up to 510% of its annual emission allocation for a given year to other Member States. The receiving Member State may use this quantity for compliance under Article 9 for the given year or for subsequent years until 2030. 6 a. Member States may carry-over excess annual emission allocations from the previous commitment period. 6 c. To the extent that a Member State's emissions exceed its annual emission allocations for a given year, a quantity up to the sum of unused annual emission allocations in the previous period banking reserve for that Member State, may be taken into account for its compliance under Article 9 of this Regulation for that year. (b) the Member State shall be temporarily prohibited from transferring any part of its annual emission allocation to another Member State until it is in compliance with Article 4 (2) of this Regulation. The Central Administrator shall implement this prohibition in the registry referred in Article 11. 2. If the greenhouse gas emissions of a Member State in either the period from 2021 to 2025 or the period from 2026 to 2030 under Regulation [ ] exceeded its greenhouse gas removals, as determined in choose to deduct annual emissions allocations for the relevant years equal to the amount in tonnes of CO2 equivalent of those excess greenhouse gas emissions for the relevant yearose years as one of flexibility options. The Commission may issue opinions on the corrective action plans submitted by Member States according to Article 8(1) of Regulation [ ESR ] on binding annual greenhouse gas emission reductions by Member States from 2021 to 2030, within three months from the date of submission of the corrective action plan. CV/0 deleted Master's in law, Nicolaus Copernicus University (1970). Doctorate in political science (1977). CV/1 deleted Bydgoszcz University of Technology and Agriculture (1970-1989). CV/2 deleted Policy officer for the Polish United Workers' Party (PZPR) (1970-1989). Member of the Democratic Left Alliance (SLD) National Executive (1999). CV/3 deleted Member of the Sejm (1989-2009). 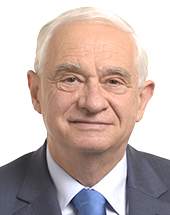 Chairman of the National Defence Committee (2005-2009). Chairman of the Intelligence Services Committee (2006-2008). CV/4 deleted Secretary of State and Deputy Minister of National Defence (2001-2005). CV/5 deleted Officer's Cross of the Order of Poland Reborn. Knight's Cross of the Order of Poland Reborn. Master's in law, Nicolaus Copernicus University (1970). Doctorate in political science (1977). Bydgoszcz University of Technology and Agriculture (1970-1989). Policy officer for the Polish United Workers' Party (PZPR) (1970-1989). Member of the Democratic Left Alliance (SLD) National Executive (1999). Member of the Sejm (1989-2009). Chairman of the National Defence Committee (2005-2009). Chairman of the Intelligence Services Committee (2006-2008). Secretary of State and Deputy Minister of National Defence (2001-2005). Officer's Cross of the Order of Poland Reborn. Knight's Cross of the Order of Poland Reborn.